It is important that primary teachers understand what it means to work scientifically and use this to their best advantage when planning, differentiating and assessing high quality science lessons. 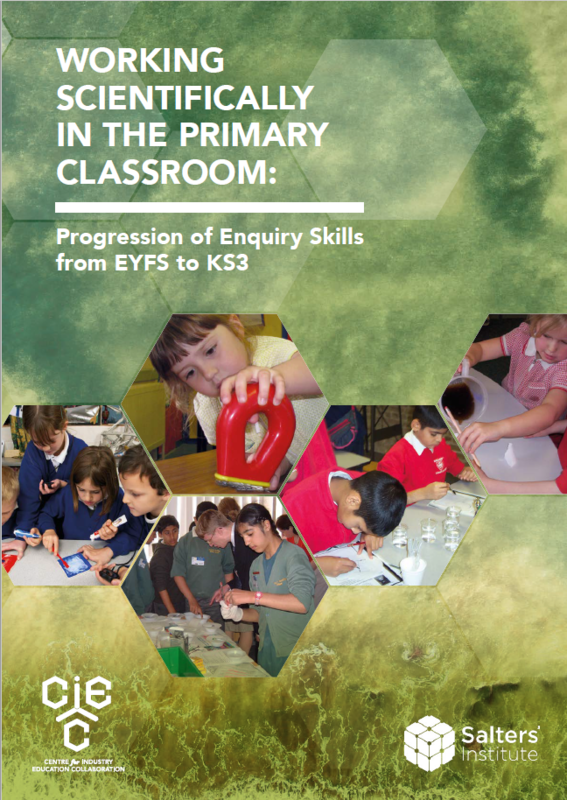 Download the latest support from CIEC containing progression grids, guidance and child friendly self and peer assessment posters to support all aspects of science enquiry from Early Year Foundation Stage, through the primary years to Key Stage Three within the science curriculum for England. Contact CIEC if you would prefer published copy, at �50 each or �.00 for a class set of 30 (plus p&p). With special thanks to the Salters' Institute for funding this resource.